Rigid outer wall for strength and longevity. 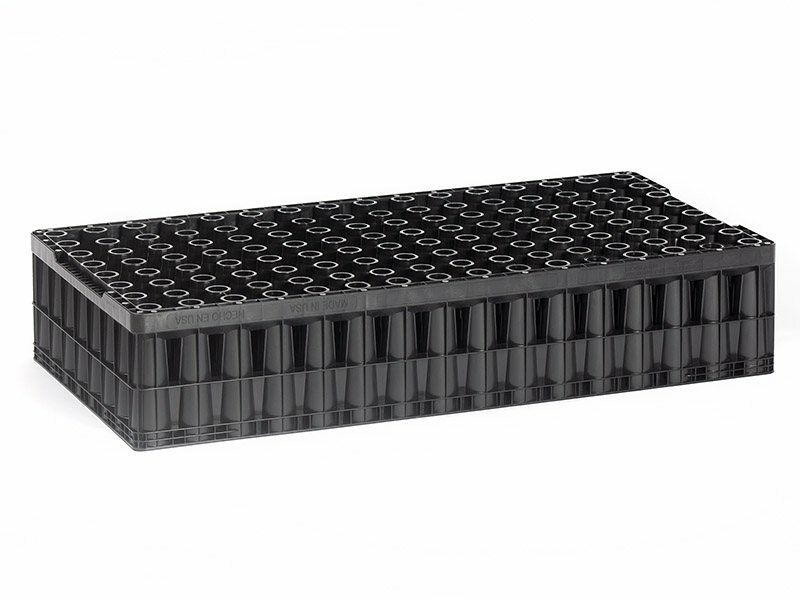 26″ x 13″ tray compatible with T-Rail benching. Developed for the SE USA for the propagation of pines. 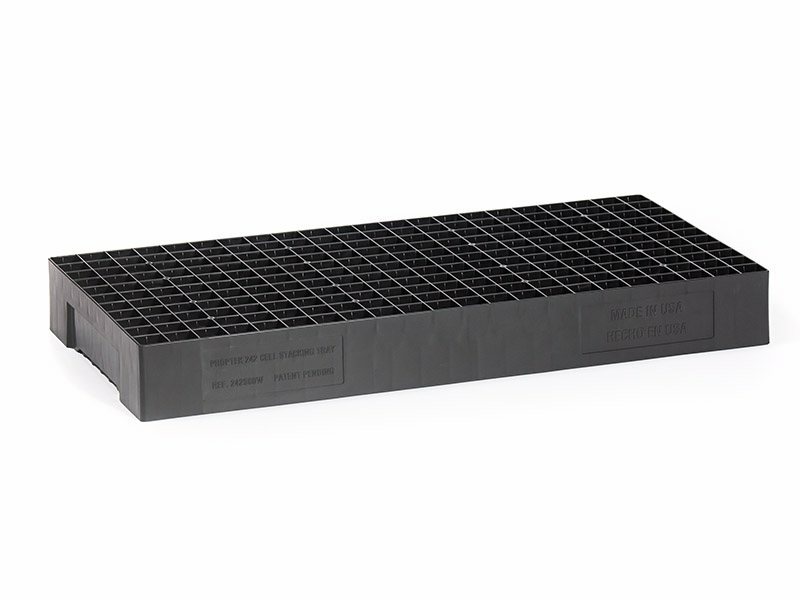 Deep cell at 5.25″, which is suitable for most types of pine. Large cell volume at 110cc. 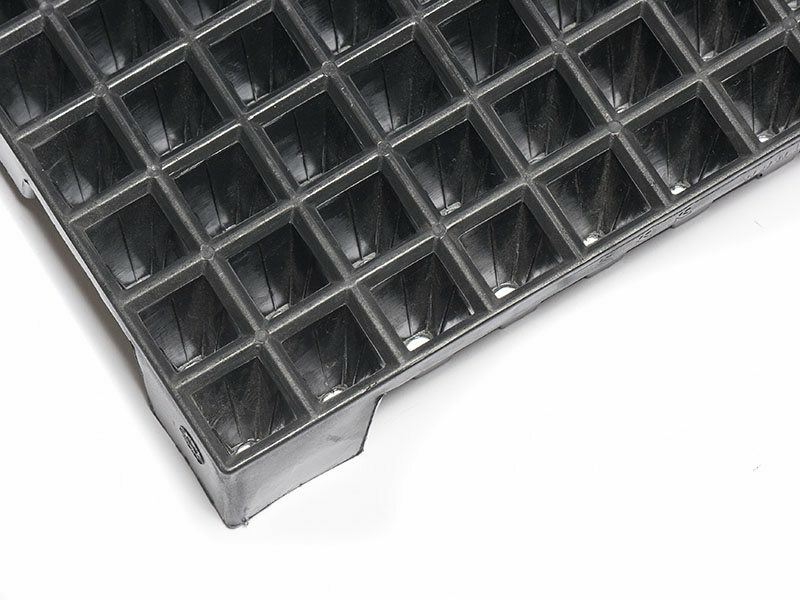 Holes halfway down the cell help drainage & aeration. Large cell drain hole for good drainage & will not block with roots. 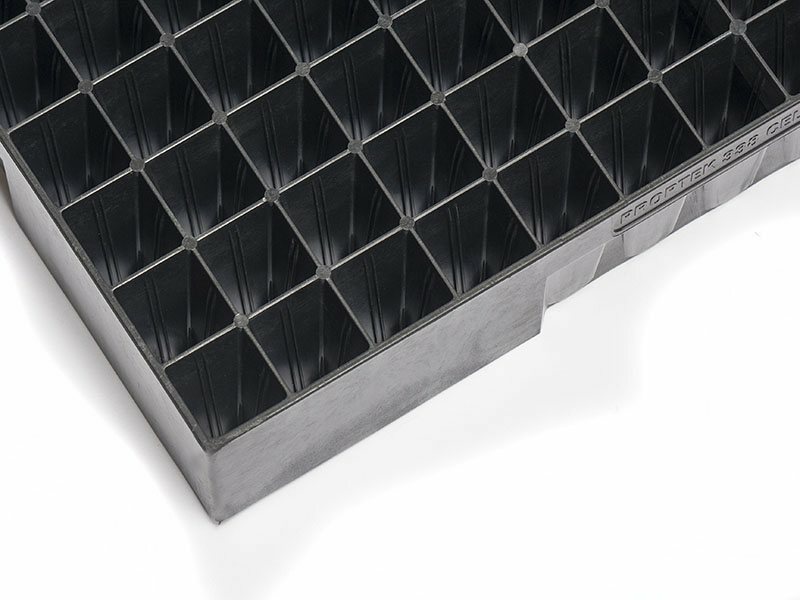 Vented top surface for ventilation of canopy and to shed heavy rain. 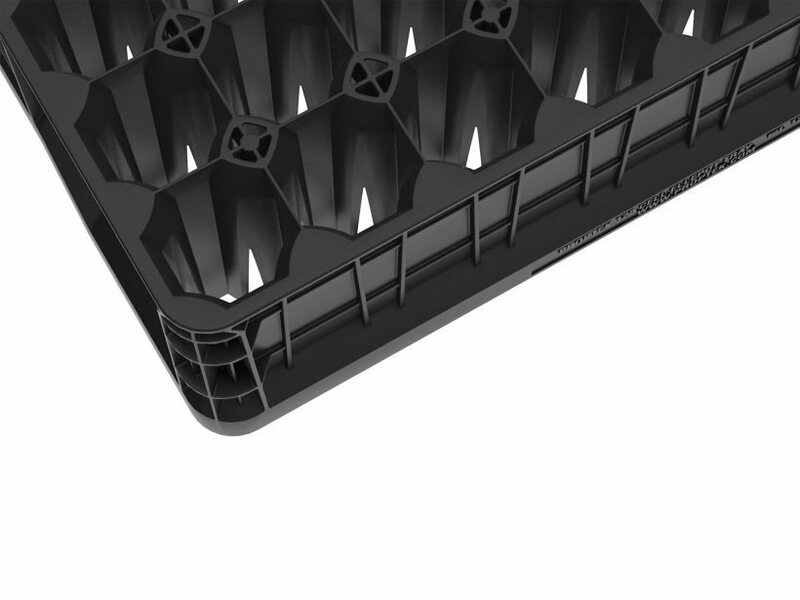 Optimum cell angle and shape to allow easy pulling of seedlings, year after year. Can be effectively and easily sterilized. 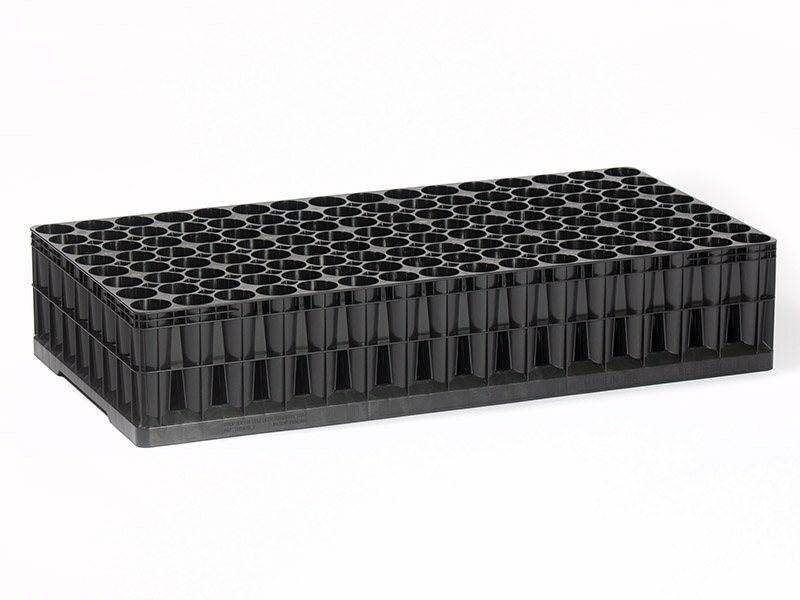 The very best in pine propagation containers, this product has been developed and improved over many years working in close collaboration with the industry leaders in the world of pine propagation. 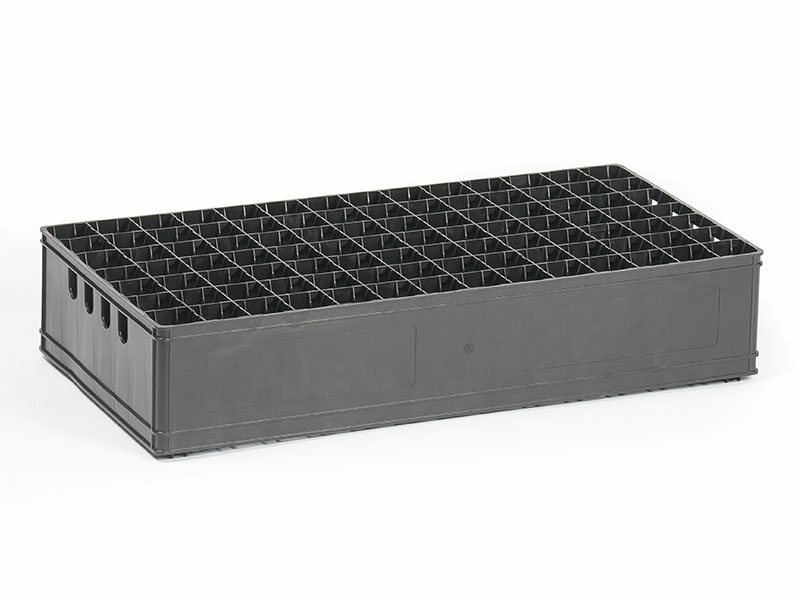 This container has been designed with pine in mind so the cells ensure the roots of your seedlings are as natural as possible and pull easily. Natural roots mean a strong, healthy – and most importantly, stable – tree. – Plants pull incredibly easily and vastly reduces the likely hood of doing invisible damage to the seedling. 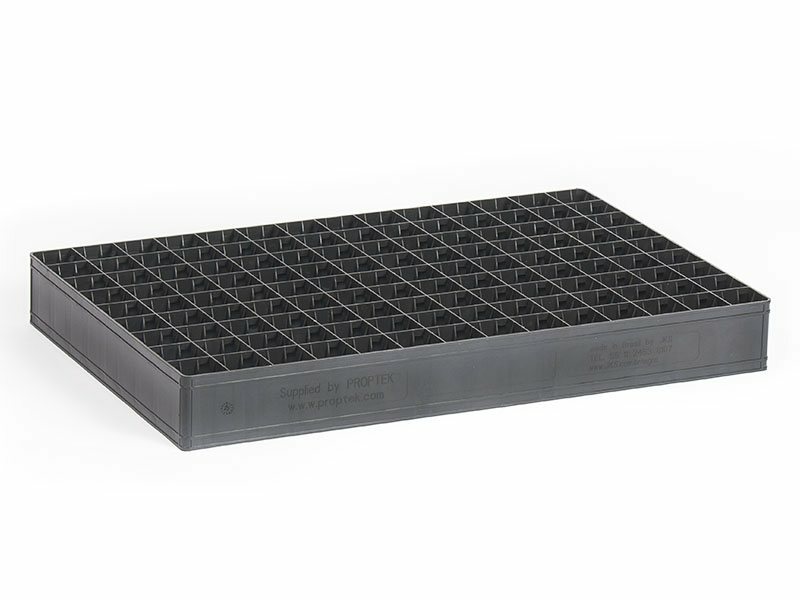 – Can be effectively steam sterilized with no negative effects on either the life of the tray or plant pulling. 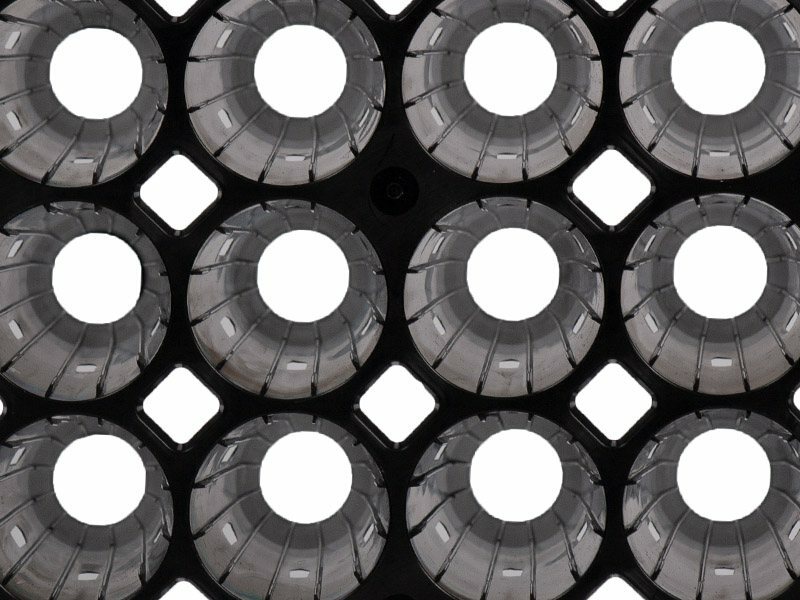 – We can design features that really look after and nurture the plant, such as the vented top surface and the extra drainage holes. 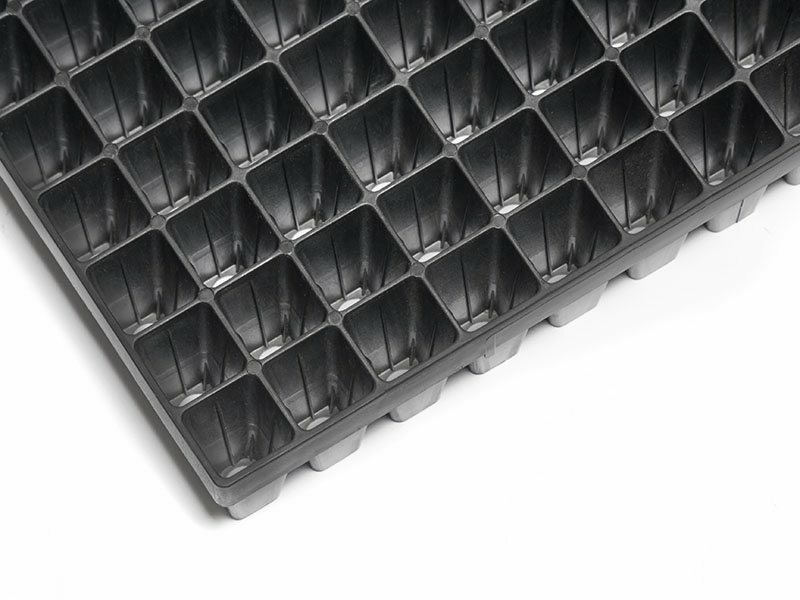 A common concern is that the black trays will get too hot sat in the sun. This has been investigated and trailed for years and has been consistently found to not be a problem in practice. 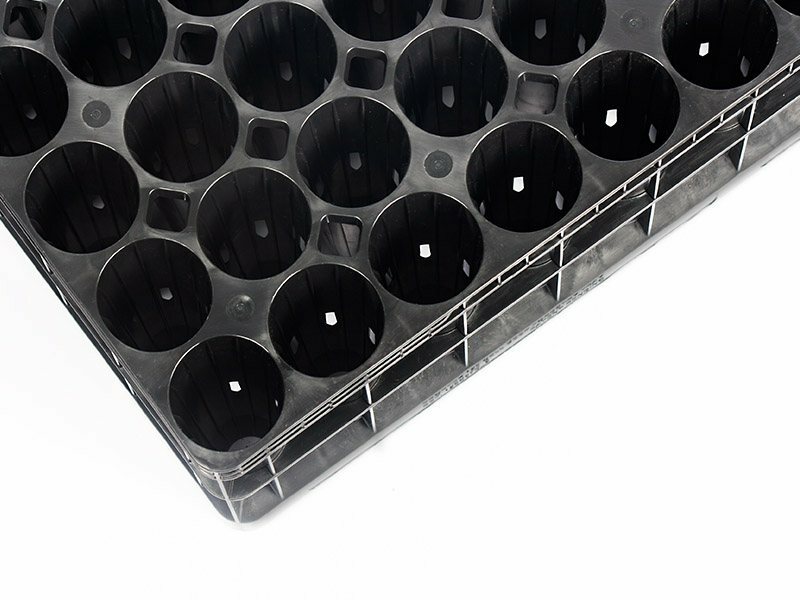 Tens upon tens of millions of seedlings are grown in Proptek containers year after year and the quality and consistency of the seedlings have been exceptional and industry standard-setting throughout. Please do not hesitate to get in touch if you would like more information on this. 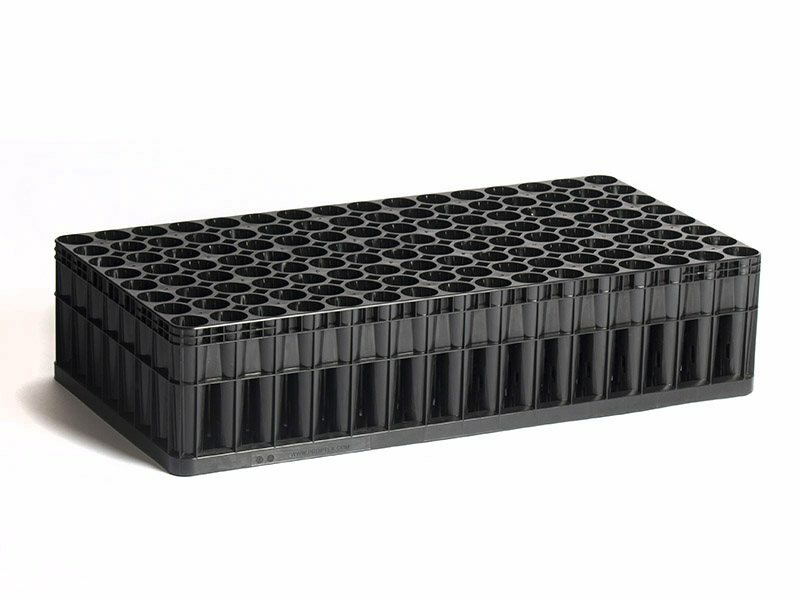 If you are propagating Longleaf pine, our super deep container would be more suitable.